Here's what's coming up next week for our Caring for Kids campaign! All activities are being held in our restaurants, except for those activities in italics. Our Christmas Star commercial is a beloved favorite for young and old. Its simple, timeless message has resonated with viewers for over 30 years. Read on to see when it will be airing on TV in your area. Check your local listings for times. We're gearing up for the snowstorm and Thanksgiving with two great coupons! Whether you're busy prepping your Thanksgiving feast, or preparing for the snowstorm, use the coupon below for $2 off a quart of soup to go. Soup is the perfect dinner on a cold, snowy night! And if you're already plotting your Black Friday shopping spree, then make sure Eat'n Park is on your list! Use this coupon for a free latte while you enjoy our Shopper's Buffet at select locations. This deal is valid on Saturday & Sunday too! Valid Tuesday and Wednesday, November 26-27, 2013 only. Coupon must be printed to be redeemed. Valid Friday, November 29 through Sunday, December 1, 2013 only. Stop in to the following Eat’n Park locations on Black Friday and enjoy our Shopper’s Buffet for just $6.99! It’s the perfect way to start (or end) your day. Plus, we have two great coupons available this week, including a free latte Friday through Sunday! Click here to print your coupons. 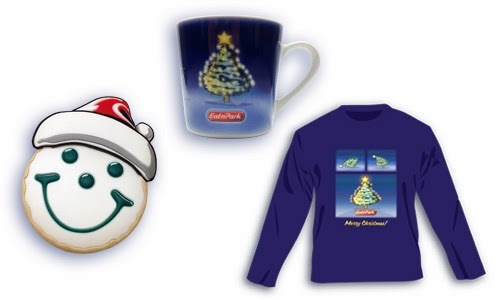 Holiday merchandise has arrived and it’s not going to stay on our shelves for long! Why, you might ask? Because we’ve got the perfect gifts for your friends, family, co-workers, and everyone else in between! Best of all, 10% of all holiday merchandise will benefit our 35th annual Caring for Kids Campaign! Let’s start with our Christmas star ceramic mugs and travel mugs. They’re perfect for enjoying your morning cup of joe, plus they’re sure to give everyone that special lift that will last all season long! We also have Santa Smiley magnets – best utilized on your refrigerator or as a stocking stuffer! 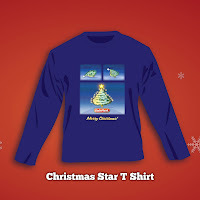 And at the following locations, you’ll also find Christmas Star long-sleeved t-shirts and Christmas Star Ornaments! * Better hurry though - these items are sure to sell out fast. *Christmas Star Ornaments will be arriving in locations mid-November! Our Caring for Kids Campaign kicked off on Friday! Take a look below to see if your local Eat'n Park has a special event coming up! Since 1979, Eat'n Park guests and team members have united to do some serious fundraising for five weeks every November and December. That's right - it's time for Caring for Kids! Through this campaign, we’ve raised more than $8.5 million for our local children’s hospitals, but we’re not stopping now! Our 35th Annual Caring for Kids campaign kicks off today and we’ve got lots of fun opportunities for you to help support us this year! 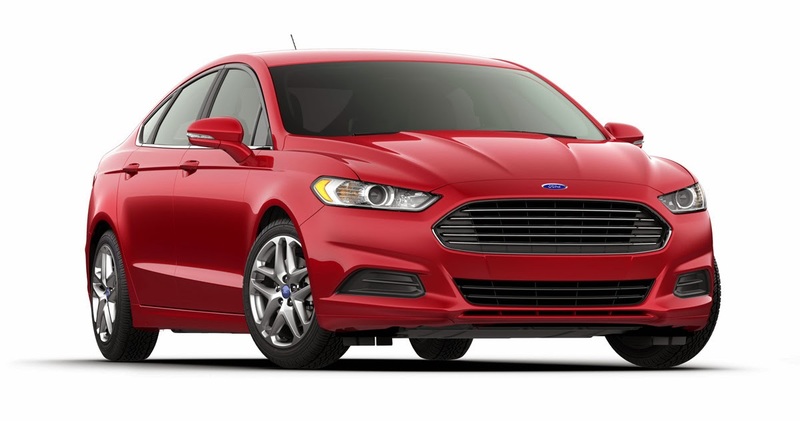 Our generous partner, the Neighborhood Ford Store, has kindly donated a 2014 Ford Fusion to the campaign - so one lucky guest is going to be taking home a pretty nice Christmas present! Raffle tickets are available for just $2 each at every Eat'n Park location. Just ask your server for one (or 10!) for your chance to win. 100% of the proceeds from the raffle go directly to the campaign. For full details and raffle restrictions, click here. 10% of proceeds from all Holiday merchandise will go to our Caring for Kids campaign. 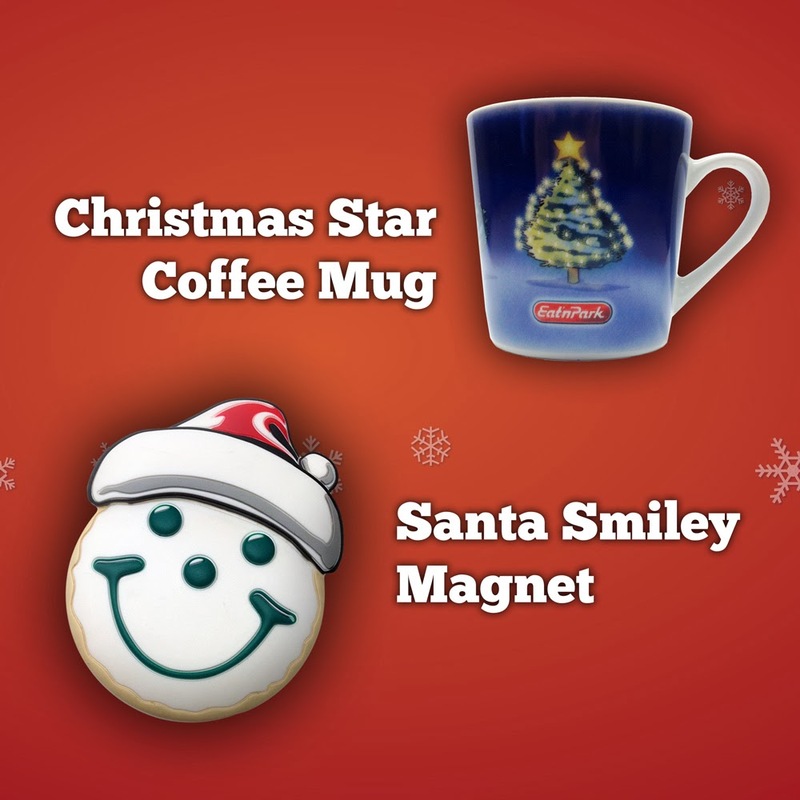 You'll find mugs and magnets at every Eat'n Park location. 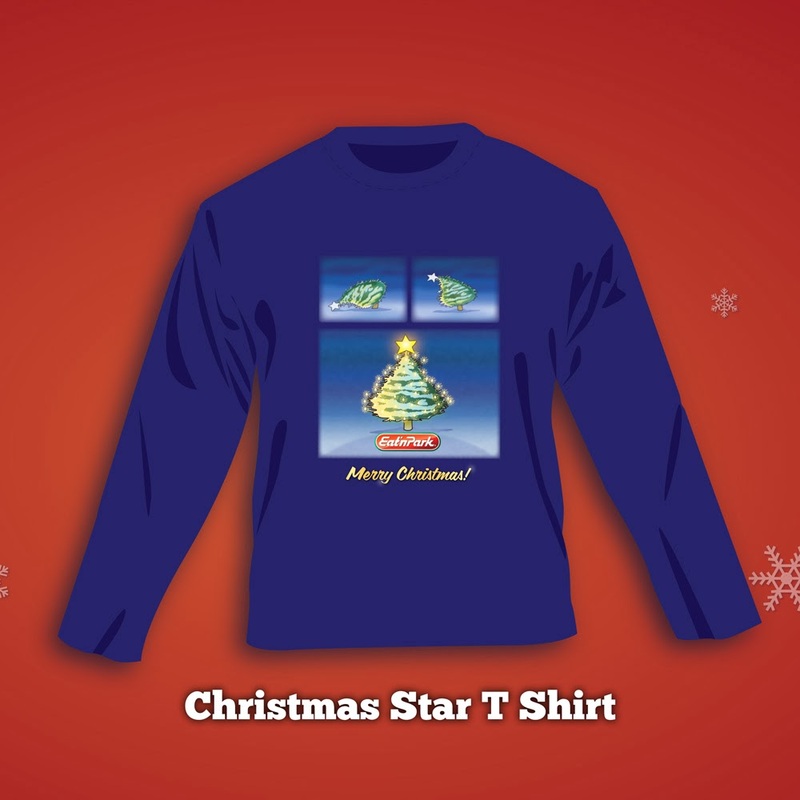 In addition, restaurants that normally carry apparel will be featuring Christmas Star long sleeve t-shirts and Christmas Star ornaments! Stop in to pick yours up today - we have limited quantities! 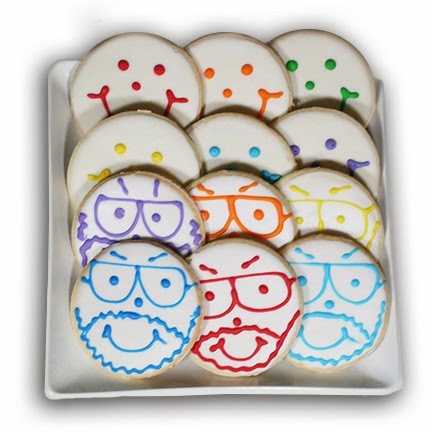 This year we’ve also teamed up with a very special Pittsburgh icon – Pittsburgh Dad to offer limited edition Pittsburgh Dad Smiley Cookies at SmileyCookie.com. These exclusive, one of a kind cookies are the perfect gift for the “Pittsburgh Dad” in your life! Plus, 100% of the profits will benefit our Caring for Kids campaign! 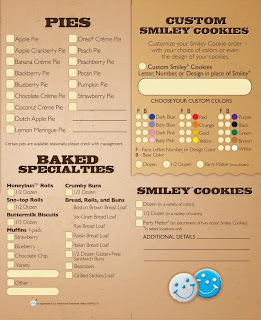 Be sure to order your cookies by December 19th to ensure delivery by Christmas. Every year, our team members pour their hearts into this campaign. Many of them donate their time (and sometimes, their tips) to organizing special events at our restaurants. You may be familiar with our Tips for Tots nights, in which our team members and local celebrities voluntarily donate the evening's tips to the campaign. Events like these are fun for everyone, and of course, they benefit a great cause. We'll be updating the schedule of events every week, so check back often to see what's happening at your local Eat'n Park! Thanks in advance for supporting our campaign!